Week Twenty Four and the parkin from last week is sitting there “maturing” so what to make for this week? I decided that a pudding might go down well and treacle tart brings back warm memories of school dinner puddings so off I set on this venture. 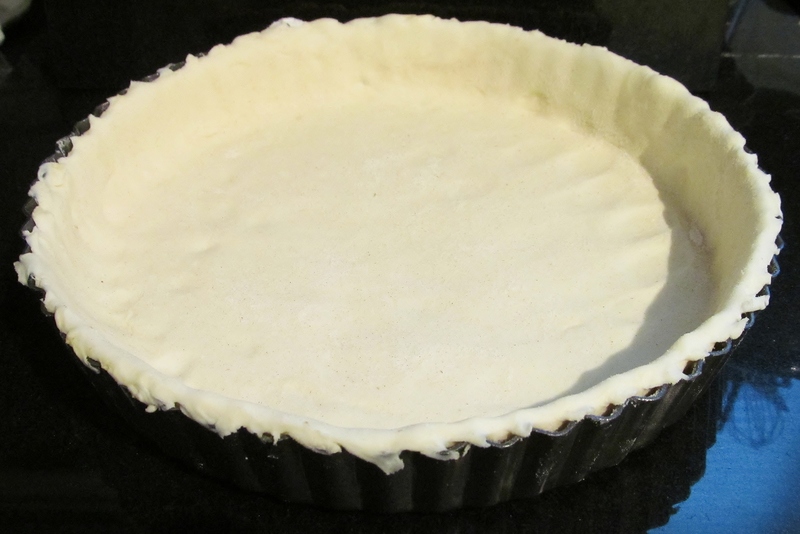 The pastry went together well and the flan tin was soon lined and ready to go. The next dilemma was that the recipe called for breadcrumbs, and preferably of the fresh variety, not the “longlife” buy them in a packet supermarket variety. So I salvaged my Kingsmill 50-50 loaf which was on the turn and cut off any bits showing signs of mould. I then put the rest in my food processor and a quick whizz of the blades and hey presto – I had a big pile of beautiful breadcrumbs! These were added to the mleted treacle, lemon juice and rind and then this was poured into the flan tin and into the oven it went. The result, doesn’t look all that good but it was rather scrummy on it’s own or with custard, although the lemon flavour is rather strong in it. Oh and by the way, we weren’t overly keen on the parkin from last week- I will stick to traditional gingerbread in future!!!! This entry was posted in Kim's cake challenge and tagged Baking and Confections, breadcrumbs, Cook, Flan, Food processor, Home, Kim's Cake Challenge, kingsmill, Lemon juice, Mary Berry, pudding, Treacle tart by kimsideas. Bookmark the permalink. Lemon too strong? …… naaar gorgeous enhanced with custard bliss. 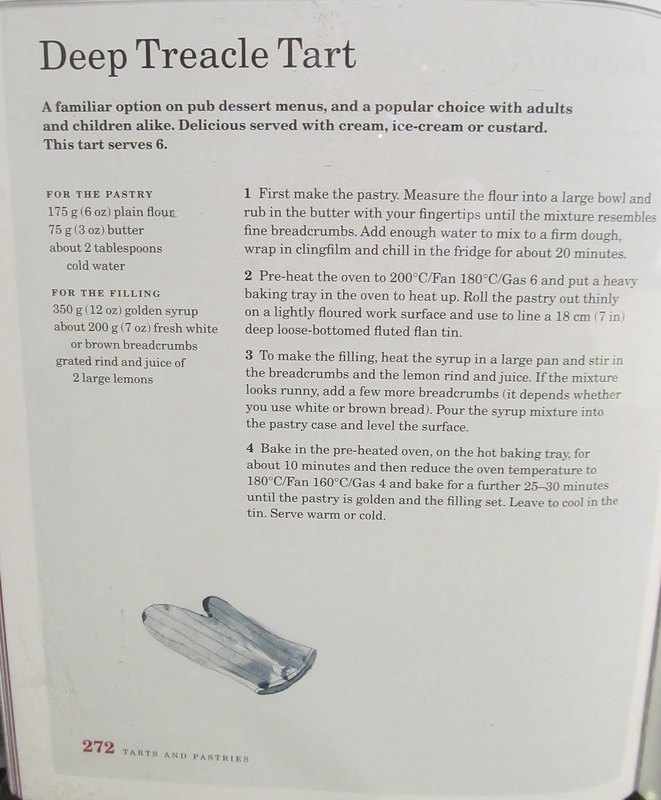 What will we do for puds and cakies when you come to the end of the book. Will you start all over again.??!! Another delicious Kim production!!! 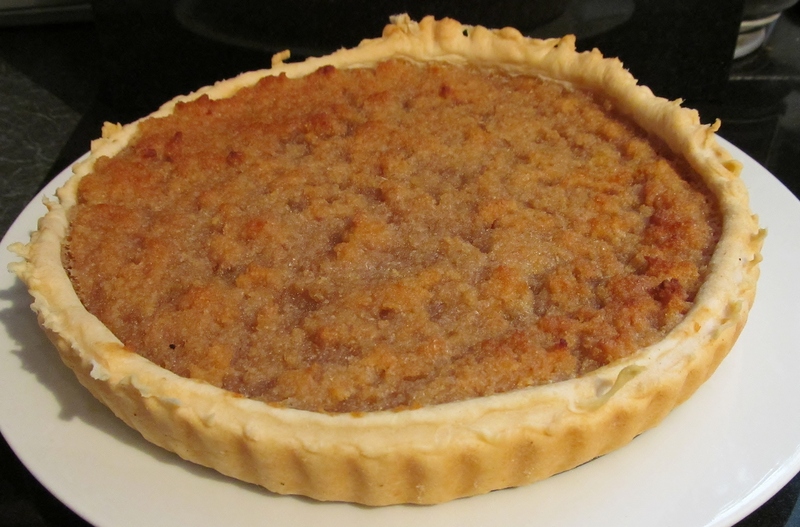 Can’t beat a bit of homemade treacle tart with fresh custard when it’s wet, cold and generally miserable outside…..